German Transport Minister Alexander Dobrindt and Violeta Bulc, the EU transport commissioner, have ended their prolonged fight over a controversial German road toll—provoking anger from neighbours. But Bulc insisted the deal will pave the way for a European-wide road tolling scheme next year. The transport commissioner insists the deal with Germany will not conflict with her plans to overhaul EU road toll rules early next year. 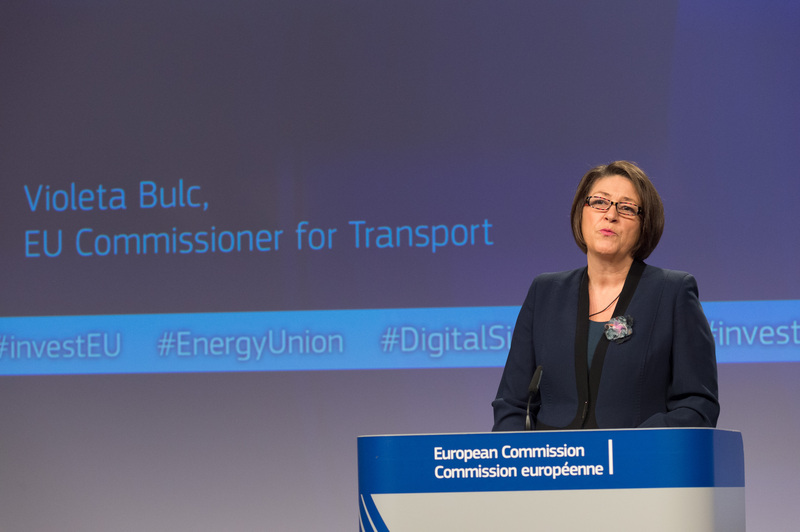 Bulc said the deal with Dobrindt was a “first step towards a common European framework for road charging”. She will propose a new EU law by April that will shake up road toll rules and charge drivers different rates based on how much their car models pollute. The overhaul will include measures to digitise toll systems and reward cleaner vehicles. The EU transport chief told reporters she is still deciding between toll rules that charge either based on how long cars spend on the road or how far they drive. Bulc has previously said she favours a system that charges based on how many kilometres a vehicle drives and not the number of days spent in a country. Environmental groups have pushed for an EU-wide system that charges based on distance because it could incentivise drivers to use their vehicles less. Dobrindt and Bulc have been butting heads over the German bill since 2014. But tensions between them calmed after the Commission brokered an unexpected agreement with Dobrindt’s office last month. The road toll bill is politically important for Dobrindt—it was a signature proposal of his Bavarian centre-right party in the 2013 parliamentary election. Under pressure from the Commission, Germany will now change its road toll law so that it does not discriminate against drivers registered in other EU countries, Dobrindt said yesterday evening (1 December). 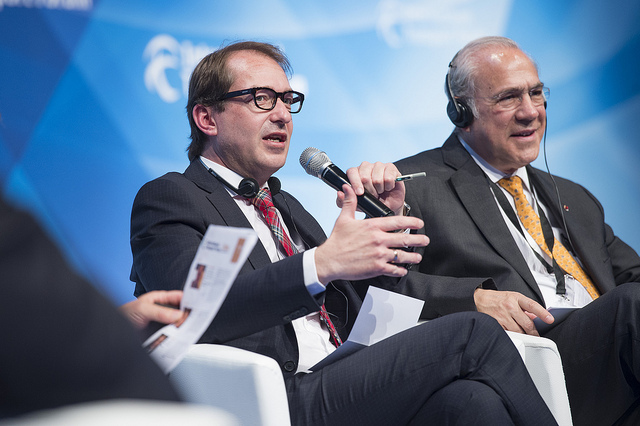 The Commission had warned earlier that Dobrindt’s original plan would break EU law. 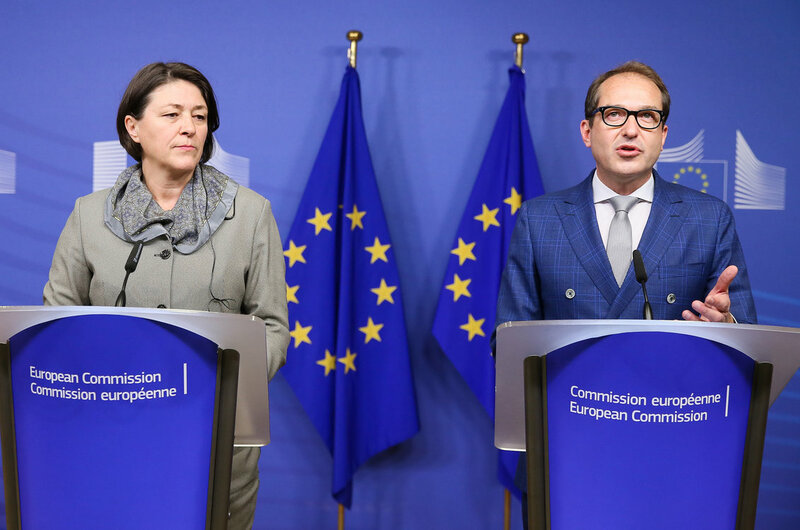 The agreement marked a drastic change in a relationship between Dobrindt and Bulc that has been frequently strained by the Commission’s inquiry into the German road toll plan. Dobrindt declared victory, telling reporters “it’s clear today that the road toll is coming”. Bulc opened an infringement case against the German road toll law last year. In September, the Commission referred the case to the European Court of Justice. Commission President Jean-Claude Juncker even intervened last month to help strike a deal with Dobrindt over the toll plan. As part of that agreement, the Commission dropped its case at the ECJ. The compromise comes less than a year before Germany’s parliamentary elections. Angela Merkel announced last month that she will run for a fourth term, but even if she wins, Dobrindt’s position in a new cabinet isn’t guaranteed. That puts Dobrindt under pressure: the bill still has to be approved by the German Bundestag and go through a months-long public tender process. A previous version was already approved by the Bundestag earlier this year, but the compromise agreed yesterday is different and needs to be voted on again. That will likely take place after the 2017 elections. 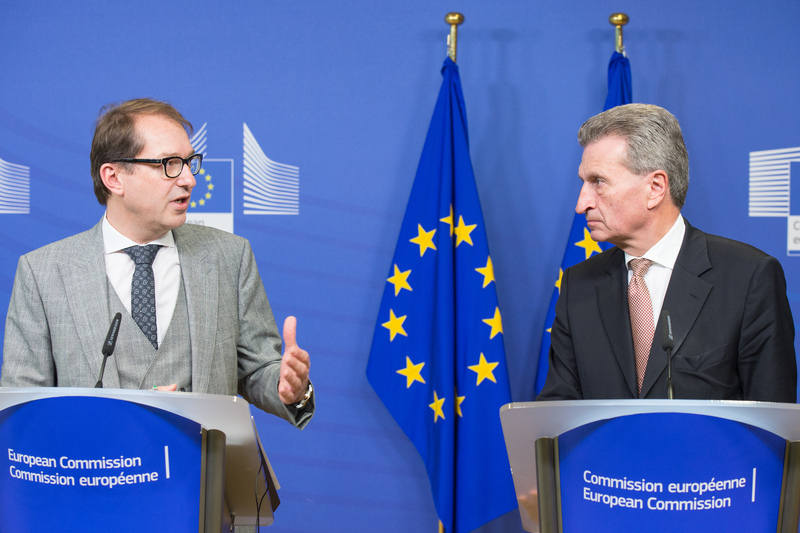 Under the deal reached by Dobrindt and Bulc, the price for vignettes that last ten days will be brought down to €2.50 from the €5 rate that was proposed last year for some cars. Drivers visiting a country temporarily are more likely to buy the short-term vignettes, while residents can pay for year-long passes. The agreement includes five categories that vary based on how environmentally friendly vehicles are. The lowest toll rate is €2.50 for a ten-day vignette; the highest is €20. Dobrindt had originally proposed three price categories for ten-day vignettes. Dobrindt estimates that the plan could bring Germany an estimated €500 million each year, which he said will be reinvested into infrastructure construction. When the new law goes into effect, Germany will become one of eight EU countries with road tolls that charge based on how much time drivers spend on the roads. Austria, Bulgaria, the Czech Republic, Hungary, Romania, Slovakia and Slovenia all have similar systems. But under the new agreement, Germany’s maximum road toll fee—€20 for ten days—would be higher than any of the other countries’ tolls. Berlin’s spat with the European Commission over its planned road toll scheme escalated yesterday (12 January) during a visit to Brussels of German Transport Minister, Alexander Dobrindt. Dobrindt didn’t get everything he wanted. He was forced to give up on part of his original plan: to allow all German drivers to claim back the toll fees through lowered taxes for vehicle owners. The Commission said that discriminated against foreign drivers and broke EU internal market rules. Under the compromise deal, tax rates will be lowered for Germans who own cars that pollute the least. Drivers of those cars who are registered in Germany will receive a tax break that’s lower than the cost of a year-long road vignette. That part of the compromise has already caused an uproar among Germany’s neighbours. Austria’s Transport Minister Jörg Leichtfried slammed the new agreement and said “the discrimination is now a bit more hidden” but is still there. Leichtfried said he already discussed the toll with ministers from other countries that border Germany—Belgium, the Netherlands and Poland—at an EU Council meeting in Brussels this week. The ministers plan to meet again to weigh possible legal actions against Dobrindt’s new plan, Leichtfried told the Austrian Press Agency. German social democrats also criticised the deal sharply. Michael Cramer, German Green MEP and chair of the European Parliament’s transport committee, called the agreement an “unpleasant compromise”. “In the end, only foreign drivers will have to shell out the toll. This is anti-European and will provoke lawsuits before the European Court of Justice,” Cramer said.